A simple image to wish your friends have a wonderful Friday. 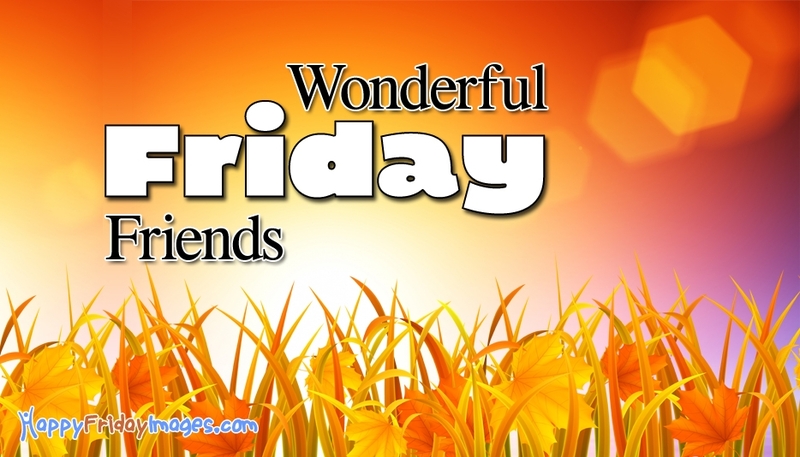 Friday greetings to share with your friends on Facebook, Whatsapp or Twitter. Make the weekend wonderful by wishing all your beloved ones have a wonderful Friday with this greeting card. Don't wait, just share. Happy Friday All.